I guess I can see both sides to this. Obviously, if this gal was preveting you from chatting with others who were in line, waiting to see you, then what she did wasn't appropriate. Getting upset because you wouldn't reveal "the secret"... LOL That's just plain funny. Well, from this side of things. I'm sure it wasn't for you. I agree, write something put in the effort to learn from every resource, and if you ask a published author-- ask 2 to 3 pertinent questions, and then move on. It sounds like you handled yourself with grace Jill. I'm going to look for that book...Lord knows my own novel has been languishing for too long. LOL!!!! Doing any signings in the States? JTT - nothing yet planned for USA but I really want to! 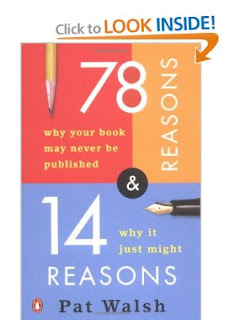 ANd yes, JTT - get the Walsh 78 Reasons book - I found it immensely helpful!